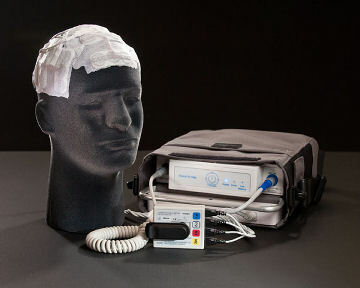 Last year, I wrote about a new device that uses a helmet to send electrical pulses to kill brain tumor cells. That device was approved in Europe, but not yet in the US. That device is now going up for approval to the FDA and they are looking for support from you and me to provide compelling reasons for the FDA to approve. One of the huge benefits of this device is that it doesn’t have the nasty side effects of chemotherapy, such as vomiting and neutropenia (low blood counts making the patient susceptible to infection and fevers). FDA approval is one of the steps required for this to be covered by insurance companies. Currently, the treatment costs $10,000 to $15,000 per month. The link to the petition, along with some supporting articles is below. The petition is all online, so besides giving a little bit of information about yourself, shouldn’t take too long. Novocure NovoTTF-100A device is up for FDA approval! We need you to submit your thoughts on the approval, and help us get a lot of responses! Al Musella, DPM, President of the Musella Foundation, will be one of the patient representatives giving input to the FDA committee, and needs your permission to speak for you - as well as your thoughts to present as a petition. The more people we can get involved, the more effective our presentation will be. About the NovoTTF-100A: this is an external device - electrodes are applied to the scalp and plugged into a control panel. (You can cover it with a wig or hat!) The device emits an electromagnetic field that interferes with the ability of the cancer cells to divide. I know it sounds like science fiction, but it has been shown to work on cell cultures, mice and people with cancer. If you already know about the device, skip to the questions way below. Otherwise, please take the time to look through the following articles. We will accept negative comments, but only if you have read these articles first. Thank you for make us aware of this new treatment, and the petition. So glad we can have an impact on this new hope. We are all thinking of you guys and praying for you. Glad to hear that Isabella is finished with chemo. Fingers crossed for a great MRI.